Every four to five years, many companies face a printer tender to review expiring leases and achieve cost savings. This includes MANN+HUMMEL, filter manufacturer from Ludwigsburg in Germany. In the following article, you can read about the challenges the company faced in the course of its printer consolidation, how it succeeded in eliminating its dependence on printer manufacturers, and how valuable an SAP form analysis can be in such a process. 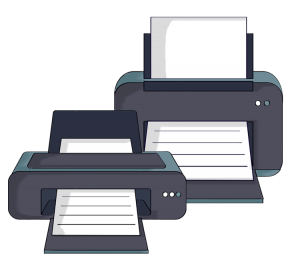 The printer consolidation project, driven by the IT department (infrastructure) and taking place on a regular basis, usually involves homogenizing all printing models for the entire organization or for individual units of a company. At MANN+HUMMEL, an essential prerequisite was to include the existing SAP ERP system with over 10,000 users in the process in order to ensure the output and electronic distribution of documents and drawings in the future as well. Since different form technologies were used, the exact dependency between the form and the output device had to be checked in advance. In this context, it is advantageous to gain an overview of all historical SAP forms and to be able to evaluate their current use. Here the SAP spool analysis of SEAL Systems was used. This offers an efficient possibility to recognize forms that are no longer used and to deactivate them if necessary. It identifies which forms are used in SAP when, by whom, how often and on which printer. The form data is stored in a table, the current status of which can be evaluated at any time using a transaction. In the course of the SAP spool analysis, MANN+HUMMEL determined that some of the existing forms had been adapted for specific printers and could therefore only be output correctly on the existing printer models of a manufacturer. This specific printer dependency made a neutral tender of multifunction printers (MFP) and workplace printers impossible. 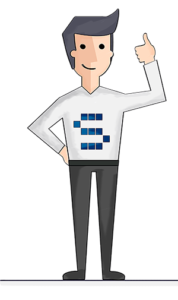 It was therefore only logical to resolve the hardware dependency with an Output Management System (OMS). Here the choice fell on the output management system PLOSSYS® netdome from SEAL Systems. The possibility of PLOSSYS® to prepare the device-neutral data stream from SAP (SAPGOFU) including specific print parameters and to convert it into print-specific code contributed to this. This means that the forms in SAP can be designed completely independently of the later target printer. In combination with the PLOSSYS® integrated printer drivers, the entire print output from SAP is manufacturer-independent. As part of a pilot project at MANN+HUMMEL, the print preparation for various printers was verified and adapted to the conversion by parameterization. The results of the SAP spool analysis carried out previously served as the basis for this. The SAP output management was then put into productive operation separately for each of the 60 national subsidiaries. Thus, the internal IT tasks were clearly distributed and risks for the productive system, which would have resulted from a simultaneous global changeover, were minimized. The central printer administration for more than 3,000 printers by the printer management software easyPRIMA from SEAL Systems for all output management servers and Windows print servers was emphasized by the IT operation as a significant work relief. All printers and output queues are managed centrally and clearly in a web frontend and maintained in the SAP ERP system at the push of a button. The output management of SEAL Systems enables MANN+ HUMMEL to define a resilient printer tender. 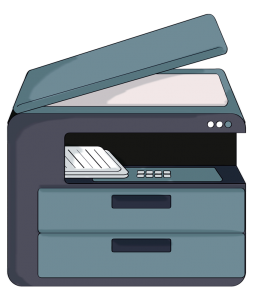 Thus, advantages in hardware procurement can be realized by a regular printer tender. In addition, MANN+HUMMEL now relies on a manufacturer- and hardware-independent solution and does not always have to use the managed printer software (MPS) of the respective printer manufacturer. The company can also continue to use all historical and current form technologies (e.g. SAP Script, SMARTForms and Adobe Forms). This means that new forms can be based on current standards and old reports and their logics can continue to be used at the same time. The central management of all printers for SAP systems and Windows print servers via easyPRIMA printer management significantly reduces administration effort and saves costs for software rollouts. Do you have any questions? 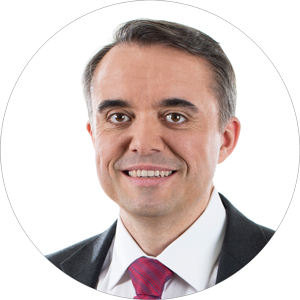 Our expert André Schnibbe will be happy to help you. Request him to contact you without obligation! *No newsletter, no data transfer, contact only for the mentioned prupose.